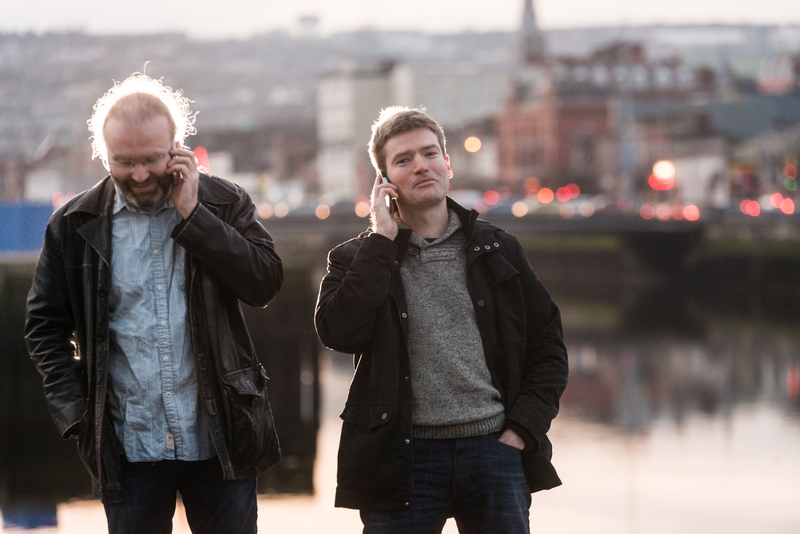 Buille Beo is the new album from Cork-based band Buille. It is a collection of newly composed music from brothers Niall and Caoimhín Vallely performed and recorded live in the intimate surroundings of the Ionad Cultúrtha in Baile Bhúirne, West Cork. Joining the brothers are Ed Boyd on guitar, Brian Morrissey on bodhrán and percussion, and Kenneth Edge on soprano saxophone. The six years since the band’s last album has seen the band perform to audiences all over the world and also collaborate with a diverse range of musicians from Béla Fleck to Martin Hayes and Mick Flannery; and tackle an equally diverse range of music from Steve Reich to Weather Report, but all the while drawing inspiration from their own Irish traditional music background. It is this openness and thirst for experimentation that has sown the seeds for the new album. The new material has influences from the worlds of jazz and contemporary classical music, and takes up where the previous two albums left off in the exploration of unconventional meters, grooves, and harmonies. The immediacy of live setting has brought an even greater vitality to the sound making this collection a new landmark in the band’s creative journey and development. Order the album now to avail of free worldwide shipping. 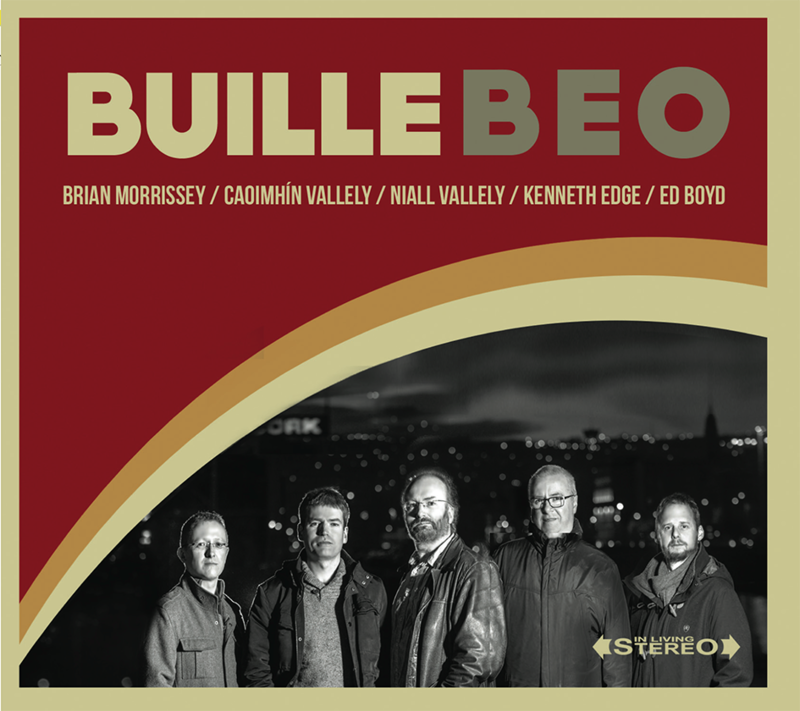 Formed in Cork in 2005, Buille have blazed a trail through traditional and contemporary music, releasing two critically lauded genre-defying albums and performing hundreds of concerts all over the world. Although the line-up has evolved over the years, the freshness and originality of the music has remained constant. Buille, which is the Irish for beat or strike, only partly describes the impact of the Buille sound which was described by the Irish Times as “as fresh a breath that's blown through traditional (and roots) circles in a long, long time.” The music, which is all newly composed, draws its influences from jazz, blues, Eastern Europe, contemporary classical music, and of course their own deep roots in the Irish tradition. Their debut album, simply titled 'Buille' and released in 2005, was produced by Donald Shaw and released on his Vertical Records label. It quickly catapulted the group into the public consciousness and appearances at major festivals all over the world and extensive radio and TV coverage followed. The 'sequel', which had the even more imaginative title of 'Buille 2', was released in 2009 and cemented their position as one of the most unique and exciting bands on the touring folk circuit. The Irish Times described it as a “spine-tingling collection that bursts with originality” and The Journal of Music said “Quite simply this album represents the best of what contemporary traditional music is”. Over the course of 2011 and 2012 the band organised a series of experimental concerts in Cork entitled 'Junctions – New Musical Encounters', where they invited a collection of their musical heroes to perform with them. 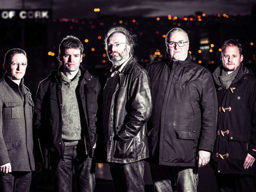 The diverse line-ups included such luminaries as Béla Fleck, Martin Hayes, Michael McGoldrick, Mick Flannery, Karan Casey, Dónal Lunny and many others. In 2013 the group were the subject of an in-depth documentary on TG4 entitled Ar Thóir an Cheoil and also featured on the debut series of both Fleadh Live and Bosca Ceoil. Buille, the brainchild of Niall Vallely, gives a lie to the false dichotomy around the notion of tradition and innovation. Over the course of a dozen new pieces (cumulatively amounting to a highly coherent suite), and recorded in Ballyvourney’s Ionad Cultúrtha, Buille Beo is a driving, reflective and always freewheeling celebration of life’s musical possibilities. At its heart is the interplay between Vallely’s ever-inquisitive concertina, Kenneth Edge’s soprano saxophone and Caoimhín Vallely’s expansive piano, their parts made whole by Brian Finnegan’s wide-angled percussive force and all grounded by Ed Boyd’s guitar. It’s a melée more suited to the open road than the fireside. Buille’s division of the set into two (supposed LP) sides concentrates the listener’s eardrums magically. Irish concertina genius Niall Vallely is back with brother Caoimhín on keyboards and a few friends fleshing out the brilliant and stylish supergroup Buille. This is their third CD, and it’s every bit as exciting as the first two, showing a degree of flair and musicality which most of us can only wonder at. But then, that’s what I wrote about their debut album, so it’s no surprise really. Niall kicks off with one of his trademark finger–blistering reels, shaking that hexagonal magic box like it was a Bond martini. If your soul is not stirred by this music, you must ask yourself if you’re alive at all – or merely a spectre. Caoimhín’s walking piano bass line is the perfect backing, with percussion from Brian Morrissey. Ken Edge chips in on soprano sax, reminding me of Spillane somewhere between Shadowhunter and East Winds. Ed Boyd’s Gloucestershire guitar completes the picture. There’s rather more of a group vibe than the early Buille, which really was all centred around Niall’s concertina. Here the bulk of the material still comes from Niall’s head, but the second half of Beó contains more of Caoimhín’s compositions. In an album full of high points, a few stand out. The Balkan twists of Bloomsday, the piano and sax parts in Whatso, and the exquisite poignancy of In a Silent Way, which is the only new piece here not written by the Vallely brothers. There are two trad tunes too – the venerable Yellow Tinker given a facelift by Niall, and the radical surgery of Cloudy Moves which reinvents Neili Boyle’s jealously guarded tune. Both are spectacular transformations. This recording was made live, at a small concert in January 2015, and the audience adds appreciative applause without going wild. That needn’t stop you, though! I've loved Buille's music since I first heard a track from their debut album on the radio many moons ago. The music was exciting, rhythmically and melodically challenging, progressive and innovative whilst still retaining the essential elements of good Irish traditional music. All this delivered through the masterly fingers of the Vallely brothers. This latest release pushes the boundaries even further. There's a different line-up for this album - along with Niall and Caoimhín Vallely on concertina and piano respectively, we now have Ed Boyd on guitar, Brian Morrissey on bodhrán/percussion and Kenneth Edge on soprano sax. Recorded live in Ballyvourney, Co Cork, the CD comprises tunes composed by one or the other of the Vallely brothers or indeed by both together. For a live recording, the virtuosity of the playing by all concerned is extraordinary – as tight as the proverbial duck's nether regions! The album bursts into life with a fine set of Niall's tunes, A Major Minor Victory/The Flying Studio, which sets a high standard for the remaining 11 tracks. Then there’s a nice change of mood into the second track, Belharbour, a lovely, graceful air, again from Niall's very capable pen. The Three Hallions is a mighty set from Caoimhín, as is the very melodic 7/8 tune, Ouch It’s Francie, which is followed by a cracking re-rhythmed version of The Yellow Tinker – it really does takes a minute before you realise that you actually know the tune! The album draws to a close with another brilliantly re-rhythmed tune, Cloudy Moves, which is, to say the very least, a 'different' version of The Moving Cloud which will have your toes tapping. Love it lads! Buille at their absolute best! In between the highlights mentioned, there are some very tasty tunes and great arrangements but there are also a couple of airy fairy flights of fancy where melody is sacrificed for the sake of rhythm, occasionally becoming a bit jazzily self-indulgent. Thankfully these moments are only a few. The sax playing is true virtuoso stuff, but I'm not convinced that the combination of sax and concertina is altogether to my taste (even though the sax is generally kept well back in the mix and doesn't appear on all tracks). That's the problem with pushing boundaries – sometimes they move a bit too far for my liking. It's all personal taste I guess. The few minor carps aside, the more I listen to it, the more I like it and you'll go far before you hear better musicianship or tune writing. Well worth checking out if you like something a bit different. With such tune titles as Dog à l’Orange and the Oblique Jig, it’s clear that the pursuit of hummable ditties is a low priority for Niall Vallely, Buille’s anchorman, concertina player and composer. Still his dry sense of humour apparently remains intact. 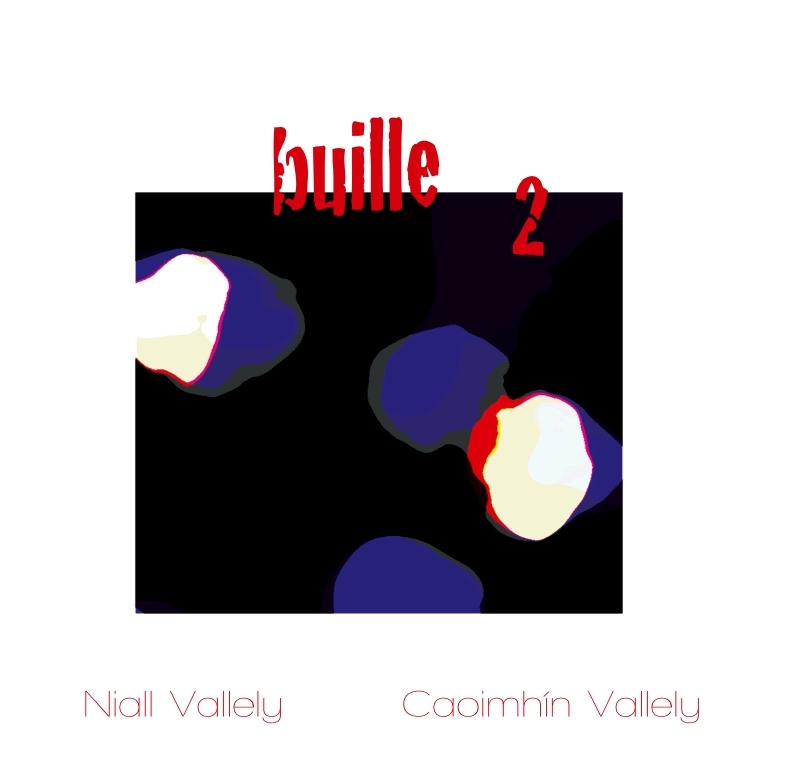 Buille (with Vallely’s brother Caoimhín on piano and Paul Meehan on guitar) follow their genre-defying 2005 debut with another spine-tingling collection that bursts with originality. Jazz and classical influences rip through Sailing from Rathmullen, while the Lock-In weds the lonesome reed of Vallely’s concertina with Brian Morrissey’s sensual percussion. Buille’s is a broader church, with room for Zoe Conway’s fiddle, Kate Ellis’ cello and Cillian Vallely’s pipes (among others), which add further texture and depth to the mix. A thoroughly challenging collection that will stimulate brainwaves and pelvic girdles in equal measure. This recording from two brothers forming a Cork outpost of the Armagh artistic dynasty is the second recording of the Buille ensemble. 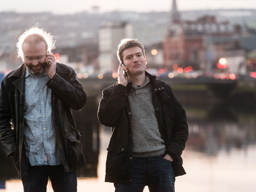 The recording is very much rooted in the compositions of the senior of the two brothers, Niall, who writes twelve of the thirteen tunes – the other is written with his younger brother Caoimhín – and the performances are very much centred around Niall’s concertina. Quite simply this album represents the best of what contemporary traditional music is feared to be. Most of the tracks are built around single tunes. There is an innovative flair to the style of arrangement incorporating the diverse strings of Zoë Conway, Karen Dervan, Kate Ellis, Ed Boyd and Paul Meehan (who formally featured as a band member but perhaps has been drawn away by his duties with Lúnasa). The ensemble is further enhanced by the percussion and banjo of Brian Morrissey and the incomparable Neil Yates who bangs out tunes on his trumpet with an ease that sounds native. Tunes and their basic structure are left more-or-less alone (although they are sometimes a little quirky), but there are often improvised breaks and jazz-style solos that will surely annoy many. Focus shifts easily from the dominant ensemble as in track one (‘Coburg St Nights’) to the occasional explosions of hair and teeth when Niall reveals his astounding and idiosyncratic technique, such as in track seven (‘Dog à l’Orange’). However it is the arrangement and especially the string arrangement that impresses most, in that you can hear an unusual marriage of traditional sensibilities and a lack of fear often motivated by the realisation of the otherness of the string idiom. I have occasional minor quibbles with the quality of some of the synthesised sounds and the style of production which is ubiquitous to a generation of musicians around Cork, but this is hardly worth a mention. Niall Vallely’s compositions have grown in stature through the development of a minimalistic bent most obviously heard in track three (‘The Oblique Jig’) which has a pentatonic structure and a range of less than an octave. Caoimhín’s keyboard commentary is sparkling through its economy, letting us know what the tunes are trying to say through their confining forms. Again this seems to be achieved through a less busy approach than in his previous outing with Buille. I spend a lot of time bemoaning the lack of originality in traditional ensemble work heard today, which is dominated by the echoes of sounds established nearly forty years ago. If we are going to avoid the artistic cul-de-sac of endless variations of the same formulae to a dwindling audience of cultural tourists, it is artists such as Niall and Caoimhín Vallely who will put up the signposts we need. It's seldom that instruments are reinvented by individual musicians. Larry Adler did it with a harmonica; so did Pierre Bensusan with his acoustic fingerstyle guitar. And now Niall Vallely has done it again with the humble concertina, a vastly underrated instrument in the traditional firmament. Vallely has penned some 14 original tunes for this dynamo of an album: full of fire-breathing verve (1st of August/2nd of August), lonesome odes (To Mullacreevie, ingeniously paired with The Dunmore Lasses, one of only two non-Vallely originals), and matrimonial celebrations (Tiarnán and Stephanie's) that burst with vitality. 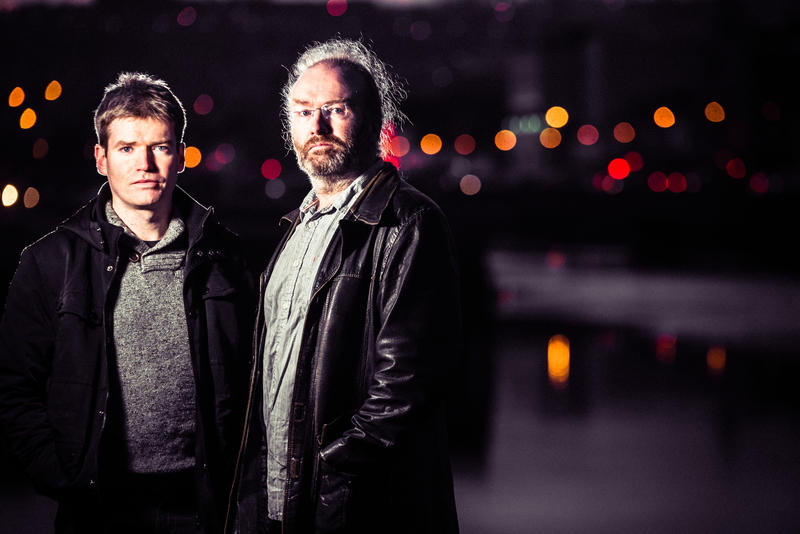 With Paul Meehan on guitar and brother Caoimhín on piano, Buille is as fresh a breath that's blown through traditional (and roots) circles in a long, long time. Irish concertina genius Niall Vallely has been quiet of late, but this recording with brother Caoimhín on keyboards and Paul Meehan on guitars is a timely reminder of his brilliance and style. Buílle is mostly Niall's own tunes, often in the Irish or Scottish idiom, and invariably played with the type of flair and musicality which most of us can only wonder at. Niall kicks off with one of his trademark finger-blistering reels, shaking that hexagonal magic box like it was a Bond martini. This man can do pyrotechnics with his eyes shut, but Buílle isn't all flash and burn. Farewell to McCarthy's is a perfectly paced slow jig, sad but with just a hint of swagger. Singing Stream Air is simply beautiful, and should be set to Gaelic words about unrequited love or maybe fratricide. Mullacreevie is back to the fireworks factory, a savage whirl of notes, not the sort of dance music where the dancer can win. Longnancy's is more familiar, a jig in the classic style, plenty of swagger and just the right turn of speed. It's paired with the traditional Winnie Hayes' Jig. If it's unfamiliar you're after, try Eleven Eight, not an Ireland-England rugby result but a bewildering Balkan rhythm. The accompaniment throughout is flawless. Brian Morrissey chips in on bodhrán occasionally. Paul and Caoimhín both have their solo moments, on Longnancy's and Gleann an Phréacháin respectively, but Buílle is all about the concertina and the man behind it. This CD should join Niall Vallely's excellent previous albums as a classic of new Irish music. Miss it if you dare. There was a time when the concertina was viewed as a 'lady's instrument', soft of voice and delicate of constitution. The briefest of listens to the bracing, muscular pair of reels that opens this superb CD would be sufficient to disabuse any holdouts of that notion. In Niall Vallely's hands, the smallest of instruments is more than able to hold its own in the spotlight. The clarity and precision of sound also help to highlight his inventiveness as a composer. With the exception of two traditional tunes, all the material here is original. Guitarist Paul Meehan and Niall's brother Caoimhín on piano do far more than simply supply the backing. On the quietly authoratative 'Singing Stream Air', originally commissioned by the William Kennedy Piping Festival in Vallely's native Armagh, each in turn takes up the theme for a lushly ornamented solo, while the rhythmically complex 'Eleven Eight' (the title refers to the time signature) features all three players in frenzied unison. Brian Morrissey contributes a driving undercurrent of bodhrán to several of the tunes. With Thoreauvian boldness Buille marches to the beat of a different drummer. In fact, the trio's name in Irish means beat (as well as blow or stroke), and a boundary-pushing musical perspective is what they attempt to deliver on their self-titled debut CD for Glasgow's Vertical Records. Rooted in Irish traditional music, Armagh's Niall Vallely on concertina, his younger brother Caoimhín Vallely on piano, and Paul Meehan on acoustic guitar "hit upon something new" about two years ago, according to Niall. He likened it to "tuning a radio and finding a station I'd never heard before but which seemed to be playing the music I wanted to hear." Comprising 14 melodies written by Niall and two trad tunes, the album "Buille" mixes Irish traditional with jazz and classical strains and stylings that collectively refresh the shopworn "hiberno-jazz" category of music. 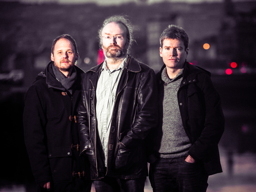 Niall Vallely helped give currency to that latter label with his participation in pianist Mícheál Ó Súilleabháin's ensemble of the same name in the early 1990s. Niall also played on David O'Rourke and Lewis Nash's Celtic Jazz Collective CD, "Aislinn (a vision)," which ironically failed because of insufficient vision. It was also hobbled by inadequate rehearsal and, frankly, limited swing on the Irish side. For the most part, "Buille" succeeds where that album stumbles. 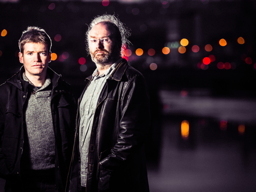 Rehearsal is not an issue because of the Vallelys' fraternal-musical bond and the constant touring by Niall and Paul in the Karan Casey Band. These three know each other well and know each other's style well: Caoimhín Vallely and Paul Meehan guested on Niall Vallely's "Beyond Words" solo debut in 1999 and also on Niall and Cillian Vallely's "Callan Bridge" recording in 2002. That translates into often synaptic communication and instantaneous reflex by the trio in performance, andallows improvisation without loss of control. Even in moments when they spin off the spine of a melody, the trio always keep it in sight. The best realization of a trad-jazz blend on the CD is the medley of "1st of August/2nd of August," two Niall Vallely tunes played by him with stirring virtuosity, panache, and almost puckish glee. Vallely knows how to swing, and Caoimhín and Meehan know how to weave their own playing around and into his. The guitar builds tension within the tempo and erects a short bridge between tunes, and the piano in one passage provides a percussive beat and in another lays down the melody. Guest Brian Morrissey's bodhrán work is present but not overbearing as concertina, piano, and guitar progress dynamically toward a concentrated whole. This track is sly, forceful, and inventive, using all the structural tools of trad and jazz to achieve what is altogether rare in hiberno-jazz: seamlessness. That track is followed by another Niall Vallely melody, "Eleven Eight," where the classical underpinning is especially apparent in Caoimhín Vallely's solo piano playing at the outset. It somewhat recalls Mícheál Ó Súilleabháin's keyboard approach in his 1987 solo CD "The Dolphin's Way," but Caoimhín is neither imitative nor derivative in his own musical interpretation. The ideas informing his playing are his own and enrich the enjoyment of this track. He is more Keith Jarrett than George Winston, and that Jarrett-like sparkle surfaces in the distinctive reading Caoimhín gives to his brother's beautiful melody "Gleann an Phréacháin" and in the more atmospheric and ruminative "Farewell to McCarthy's." Jazz musicians customarily leave enough head room (that is, space for theme development) for all instruments to stretch or strut. Niall Vallely similarly lets his brother and Meehan take some tasty solo turns in his slow air "Singing Stream," part of a longer composition from which a section also popped up on the "Callan Bridge" album. To some extent, speed overtakes sense in "The Wrong House/The Baltimore Fox" and especially in the second tune of "Mullacreevie/Dunmore Lasses," in which the concertina bunches notes like a rugby scrum. But even there Niall Vallely's dexterity redeems the velocity. Some of his triplets, runs, and intentional slurs are nothing short of breathtaking and leave the listener slack-jawed in admiration. Only Clare-born Noel Hill and Meath-born Mícheál Ó Raghallaigh are in Niall Vallely's hexagonal-box company for sheer technique today. The one soft spot on the CD is the repetitive passages in "Tiarnán and Stephanie's," a tune Niall Vallely wrote for the wedding of uilleann piper Tiarnán Ó Duinnchin and singer Stephanie Makem, two members of a band in which Paul Meehan also performed, Na Dórsa. This repetition smacks of a fugue-like, finger-limbering exercise, efficient but weightless. Still, of all the albums issued in pursuit of the holy grail of trad-jazz-classical fusion, "Buille" ranks near the top in vision and execution. If Niall Vallely, Caoimhín Vallely, and Paul Meehan have not quite hit upon something startlingly new in sound, they have most assuredly raised that sound to a new level of skill, sophistication, and soul worthy of any Irish music devotee's interest. This fresh-sounding album brings together some distinctive Irish musicians who are well known in the field of what’s been termed “new Irish music”. First, there’s that ace concertina player Niall Vallely, who first came to my attention when he was a founder member of the fine Cork-based band Nomos in the mid-90s; when that band split after only two albums Niall released a solo album (Beyond Words), since which time I’d not heard a peep from him – so it’s welcome back Niall, I say! Second up in this new project is guitarist Paul Meehan, a brilliant player for sure; the lineup for Buille is completed by Niall’s brother Caoimhin, formerly of the band North Cregg, who plays piano. Oh, and Brian Morrissey brings in his bodhrán for some of the tracks. Now, that concertina-guitar-piano lineup isn’t perhaps one you’d immediately find striking, or indeed consider an obviously winning one, but in this case my initial slight underwhelm-ment (is there such a word? – oh what the hell!) had readily dissipated by around third playthrough, as I began to appreciate the intricacies of unusual stylistic interplay that this particular instrumental combination uniquely permitted. I’m not totally sure about this, but perhaps it’s all rendered easier for the listener by virtue of the fact that almost all of the tunes gathered together for the ten tracks making up this album are original compositions of Niall’s in basically Irish or Scottish traditional mode (yet even the remaining two are co-compositions with his fellow trio-members). I’m sure that the biggest clue to this impression is to be found in Niall’s own words in the insert-note: ”Although I’ve played with Paul and Caoimhin for many years, there was a certain point about two years ago where it felt as though we had hit upon something new. It was a bit like tuning a radio and finding a station I’d never heard before, but which seemed to be playing the music I wanted to hear.” Quite! But at the same time, I’m also convinced that a major part of the music’s appeal is the infectious bringing-together of the wonderfully nifty swagger of the concertina with the poised syncopations of the keyboard, invariably set off to the greatest, punchy effect by Paul’s driving, yet in the end quite understated fretwork (the August set at track 5 is a case in point, I feel). So in spite of my first encounter with Buille being somewhat muted in impact (aside from appreciating the flawless playing of all three musicians for the marvel it is, of course), I have come to enjoy the album much more through careful repeated listening (at the risk of making a dreadful pun, it’s not a CD that will “buille” you into submission!). It’s also very sensibly sequenced, with plausible contrasts in tone and pace between the selections and moving between stunning displays of highly musical note-spinning, gently moulded slow airs and relaxed jigs, with some occasional Schubertian piano traceries (opening of track 9) and even a tricky Balkan-inspired piece hurled into the middle of the CD for good measure. Who could follow the range of rhythm and style that is Saltfishforty? Irish band Buille were well up to the challenge. Buille are another band short in history but in no way lacking in talent. Formed two years ago they feature Niall Vallely on the concertina - an instrument he picked up at the age of six or seven because he "liked the look of it", Paul Meehan on guitar, Caoimhin Vallely on piano, and Frank Torpey on the drum. 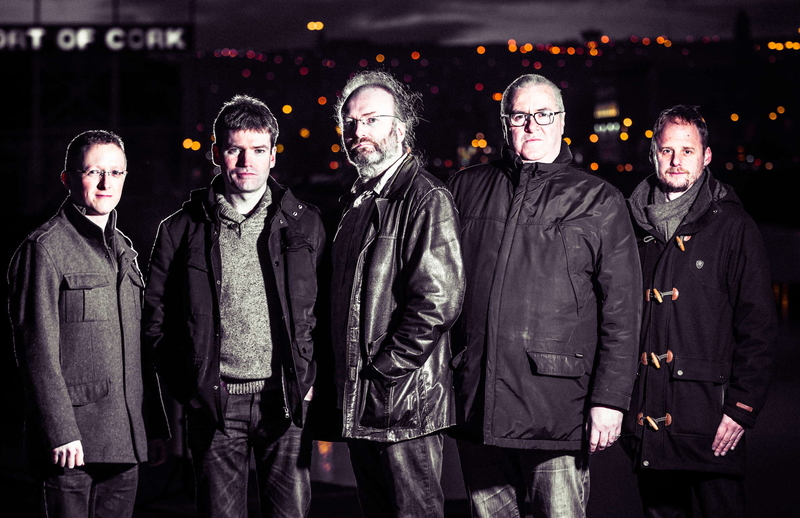 The band have a huge amount of experience with Celtic music, Niall formed Nomos back in 1990 and Paul was a member of North Cregg with whom he recorded three albums. However, it was not their past accomplishments that the crowd and I were interested in but the here and now. Buille gave the audience fast and furious reels and jigs but it was their slower more emotive tunes that sent shivers up my spine. The concertina really is a magical instrument and it came into it's own in these more measured numbers, long drawn out notes tugging at half forgotten memories; hazy images of days gone by. With these musicians there was an intensity and concentration that I hadn't yet seen. For me great music takes you away and stirs you up. With Buille, players and audience alike were caught up - ever so slightly on edge - until the incredible journey was over.